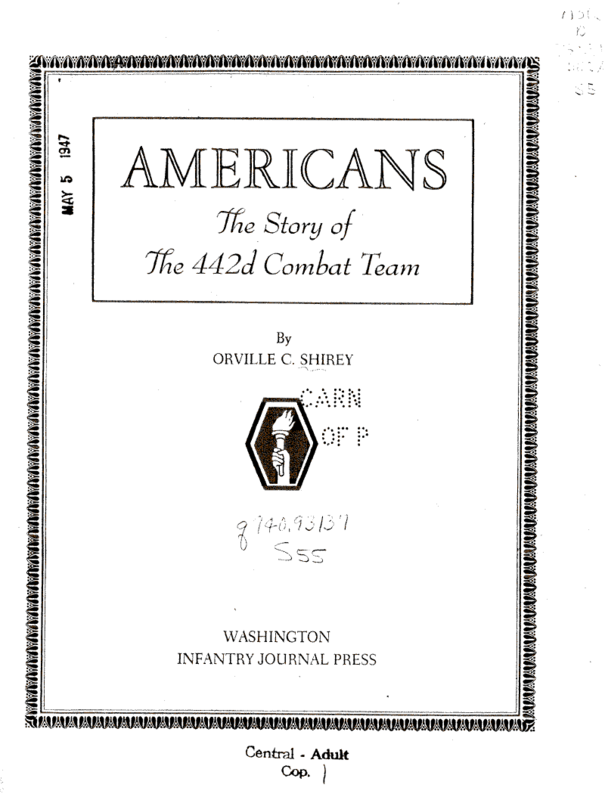 Document Notes: The history of the 442nd, the famous Japanese American unit, largely led by non-Japanese officers, and its exploits in the Medditerranian Theater of Operations. With the exception of the 100th Battalion, largely from Hawaii, the 442nd was engaged from June 24, 1944, after the fall of Rome, to the end of the war. Note: A review of the awards and decorations in this book will reveal that since WW II the unit has been attributed with more awards than it was during combat. These fraudulent claims were the result of the efforts of unscrupulous people and bring discredit on the fine record of the men of the 44nd.